Mountains higher than 14 ⁠000 ⁠ft / 4 ⁠267 ⁠m with at least 300 ⁠ft / 91 ⁠m of topographic prominence. Mount Bierstadt (Bierstadt is German and means Beer City) is a high mountain summit of the Chicago Peaks in the Front Range of the Rocky Mountains of North America. 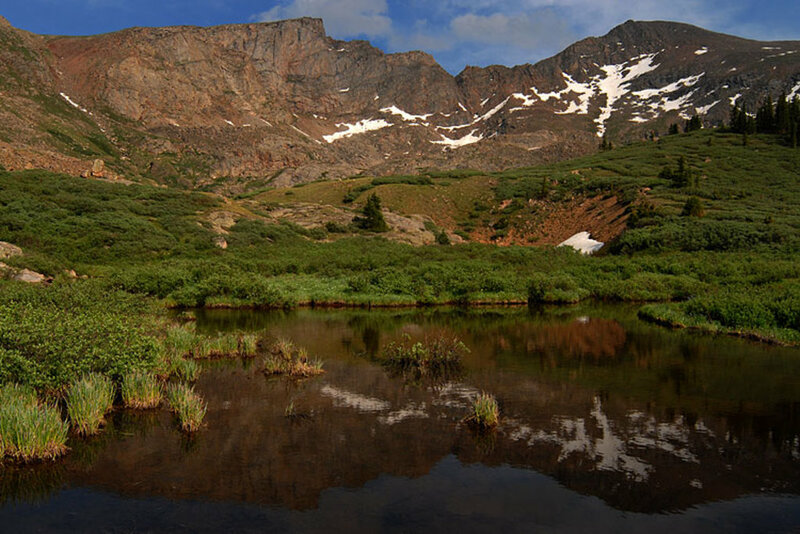 The 14,065-foot (4,287 m) fourteener is located in the Mount Evans Wilderness of Pike National Forest, 9.4 miles (15.1 km) south by east (bearing 171°) of the Town of Georgetown in Clear Creek County, Colorado, United States. It was named in honor of Albert Bierstadt, the American landscape painter who made the first recorded summit of the mountain in 1863. Do you have photos of Mount Bierstadt or know something about it? Please let us know!